In 1957 Land Rover launched their new 2.0 over head valve (OHV) diesel engine, first fitted to the 109" chassis. This vehicle is chassis number 27 of this type, with the build finishing on 23rd August 1957. This makes this LWB series 1, one of only 153 produced in 1957. This new engine marked an important turning point in Land Rover powertrains and saw Land Rover move away from side valves to overhead valves. Despatched from Solihull to Dorchester Land Rover dealer 'Tilleys LTD' on 28th August 1957, this Land Rover retains the original Dorset registration 'LFX 271' which will also be included in the sale. This home market 109 inch vehicle was ordered in basic trim and is the 26th production 109 2.0 Diesel to leave the production line. The truck is chassis number 27 to account for the first prototype vehicle in 1956. Today, LFX 271 is in fantastic condition mechanically and wears the original Bermabright bodywork with pride. Being a working vehicle, the tailgate was swapped to a heavy duty item very early in its life and has been maintained very well indeed. Recently the cab and truck bed have been removed and the chassis repaired where required by a Land Rover specialist. The repaired chassis was then painted and the original bodywork reattached meaning the original wear and tear remains, a desirable feature from an aesthetic viewpoint. All the brake lines have been renewed and the brakes and handbrake are in great working order. As a result of the remedial work, LFX 271 will be solid for many years to come while retaining it's natural patina. Inside you will find the original Smiths heater, with the original fuel tank mounted under the seat. Specified from new, this 109 was fitted with an optional hand controlled throttle, which is also present. The perspex windows have recently been replaced, as have the cab floors. The bulkhead has had repairs to make structurally sound but will need additional work on the top rail to take to a show standard. New bulkhead vent seals have been fitted but vent opening handles will need to be reattached. Before putting LFX 271 up for sale, local Land Rover specialists Brownchurch checked the vehicle over for mechanical gremlins and gave it the thumbs up. Gearbox, transfer box and original engine are all in great working order. The engine smokes a little until warm but once up to temperature is just fine. Being almost 60 years old, i think this is forgivable. The rear differential will need replacement in the long term despite being ok for the mean time. These are plentiful and easy/cheap to come by and a relatively simple procedure to fit. The car is fitted with original steel wheels and slightly larger period cross ply tyres which help with higher speed cruising. Being Tax and MOT exempt the vehicle is able to be driven away if you wish. Despite MOT exemption this 109 has undergone an MOT less than 12 months ago to ensure it is fit to be driven on UK roads, which it passed with flying colours. 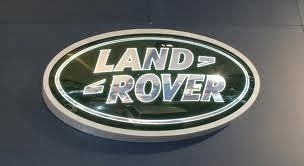 If you are into series Land Rovers you will be aware of their rough and ready nature, and lack of motorway speed. This vehicle retains this charm and is also not modified for seat belts, because of this you may wish to arrange for it to be transported long distance. I am happy to accommodate and help with any pick up arrangements you may require. A heritage certificate is included with the vehicle which confirms it's identity and origin. Along with this is a specification build sheet and copy of the original Series 1 Land Rover sales brochure. I had intended to make this vehicle period correct and show ready, but unfortunately a lack of time means i have to move this fantastic truck on. This is an incredible opportunity to own a super rare version of the very sought after Series 1 Land Rover which needs very little work to make perfect. A very easy project for someone who has time to complete and once done, will be virtually unique and sure to appreciate in value as more and more people become interested in classic Land Rovers.